Buying a new property? Get a head start on your home inspection by reviewing the typical checklist. Buying a new home can be a thrilling and terrifying adventure. During the process, you’ll need to address dozens of details regarding your new abode, including potential problems with the foundation, structure, appliances, fixtures, electricity, plumbing, and more. But, thankfully, there’s a simple and effective solution to ensure your new dwelling doesn’t turn out to be a nightmare: getting a home inspection. A critical component of the buying process, a home inspection is like a “test drive” for a new house. First, the potential owner should hire an experienced and qualified professional for the job; a smart place to search is the American Society of Home Inspectors, a not-for-profit association that establishes standards for property inspections. The inspector will conduct a thorough examination of the house, identifying problems that the buyer may want to negotiate with the seller to fix—as well as any catastrophic issues that might make them rethink the purchase. After the examination, a home inspector will present a report that includes a checklist of the home’s main features, a summary statement about each major living area, and notes and photographs documenting problems. What’s more, the report should estimate the remaining useful life of major systems and equipment, the roof, the structure, paint, and finishes—and give a list of recommended repairs and replacements to boot. A systematic home inspection ranges from $200 to $700, depending on region and home size, but it can save thousands of dollars in unexpected repairs down the road. Since the home buyer is an integral part of the inspection process, it’s vital to conduct some groundwork before the professional takes over. Spend some time reviewing the seller’s property disclosures, reading documentation about the house from the local building department, and preparing a list of questions and concerns regarding the home. Then familiarize yourself with the process by looking over this list of eight things every home inspection checklist should include. 2. Roof, Windows, and Doors. The exterior structural components of the home are some of the most expensive to repair or replace, so a home inspector should carefully evaluate the condition and expected lifespan of these elements. On the attic and roof, he’ll likely focus on the shingles, gutters, exterior vents, flashing, soffits, chimneys, and fascia boards. When inspecting windows and doors, he’ll search for decay and rot, cracks, improper installation, lack of caulking, and other damage. 3. Attic. The attic is often overlooked when a prospective buyer visits a home, but it can hold important clues to the overall structural integrity of the property. 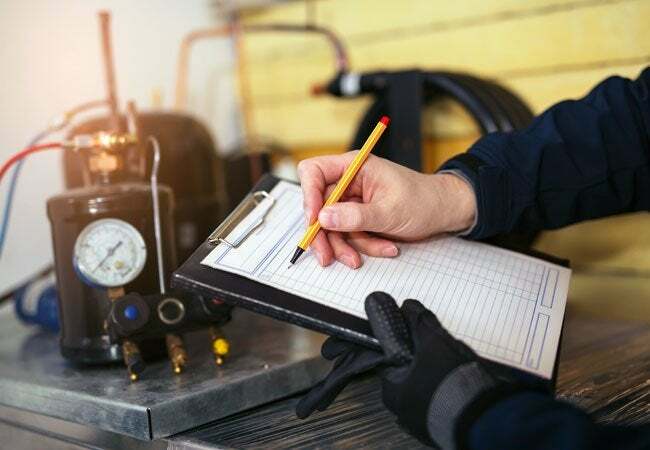 The examiner will make sure he doesn’t find poorly installed insulation, structural damage, improper ventilation, and exhaust or plumbing pipes that end in the vicinity. 4. Basement/Crawl Space. Moving to the opposite end of the house, the basement or crawl space is another component of the home inspection checklist. 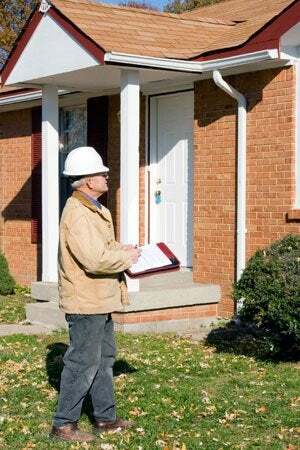 The inspector will look for moisture and evidence of pests, as well as foundational, structural, and insulation-related issues. If your house has a crawl space, the area will be inspected for similar problems. 5. Interior Rooms. When it comes to interior rooms, you have to worry about more than choosing the perfect paint color, since these inner spaces can reveal critical structural issues. The inspection checklist should cover the floors, walls, ceilings, windows, interior doors, paint and trim, lights and switches, outlets, temperature control, insulation, and fireplaces. 6. Kitchens. The kitchen is often called the heart of the home, so it’s important to ensure every feature is in tip-top shape. Some aspects of the kitchen to scrutinize include the size and functionality of appliances, the exhaust fan, the drainage and water flow, the safety of outlets, and the condition of cabinets and drawers. 7. Bathrooms. Bathroom problems can be a pricey proposition to fix, so an inspector will want to carefully examine the following areas: toilet, exhaust fan, sink, tub and shower, tiles, caulking, flooring, and fixtures. What’s more, the water flow and water pressure should be properly scrutinized, and the inspector should note any issues with plumbing and leakage. 8. Major Systems, Electrical, and Plumbing. Any home inspection must include a thorough evaluation of the heating and cooling systems, as well as the plumbing and electrical work. The examiner should first indicate the age and expected lifespan of all components, then pay attention to certain areas of concern. For the HVAC system, this includes airflow, ventilation, filters, ductwork, the condition of flues, and the presence of rust, asbestos, or odor. In regards to electrical systems, the inspector will examine wiring, the main service panels, cables, fuses, and breakers. Finally, he’ll check the plumbing system for pipe damage or leaks, and ensure the water heater and pump are working properly.